+1, big thanks! A very good idea. There may be a couple more, I'm not sure. 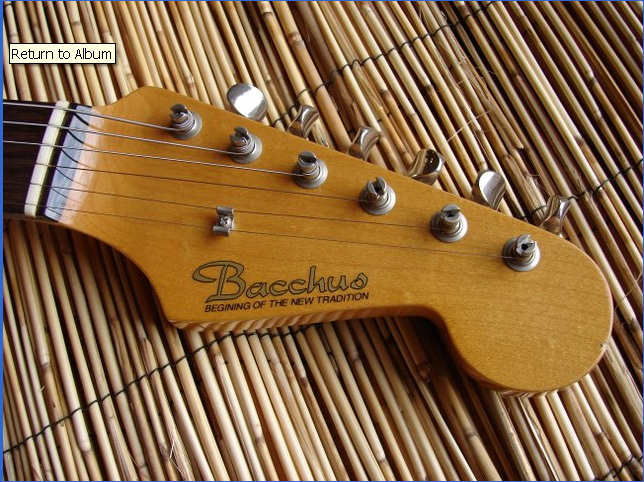 Bacchus strat are very nice. Only thing is all the ones I've tried have C or U necks and I like V necks. 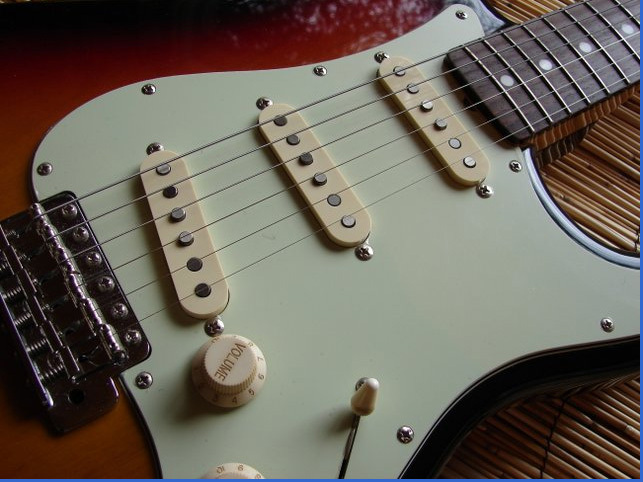 In fact most japanese made strats I have tried have c or U necks. Only Tokai fit my taste. Thanks Ned. An excellent addition to this fine forum. My contribution - I believe it's a BST-64V as it has a cap board. The neck is really too fat for me, but I'm reluctant to let it go as it's such a high quality guitar, it feels and sounds like it should have cost at least twice as much as they usually sell for. Big, fat, warm sound - excellent pickups too. I still prefer the slimmer neck on a RW board Goldie though. I don't think it's Lake Placid Blue, so maybe Ocean Turquoise? 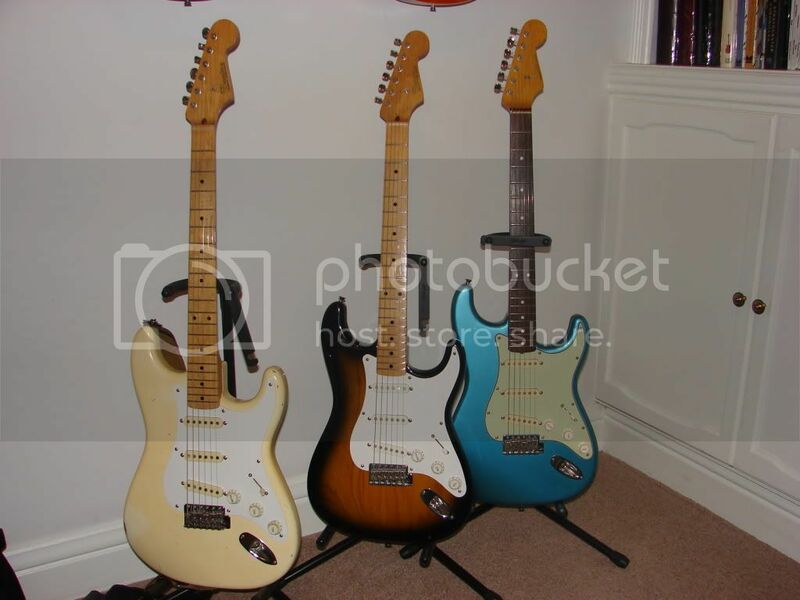 The maple necked Bacchus Strat's have big old V necks, I have a BST-54V and a BST-57-V both have nice big V profiles just like the originals they copy. The RW boards have C profiles, again true to 62 or 64 Strats. 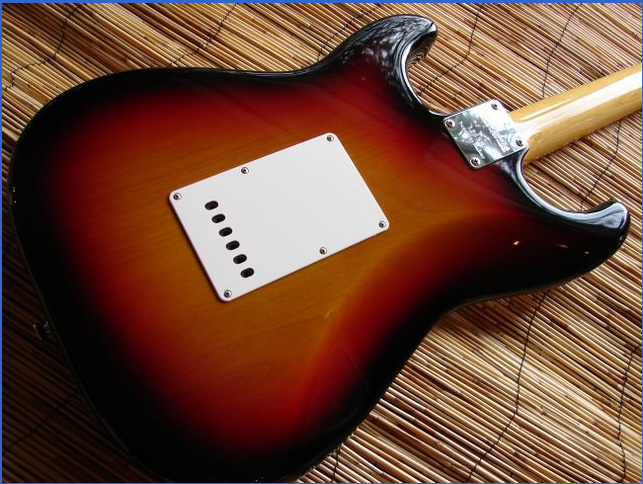 The RW boards have C profiles, again true to 62 or 64 Strats. 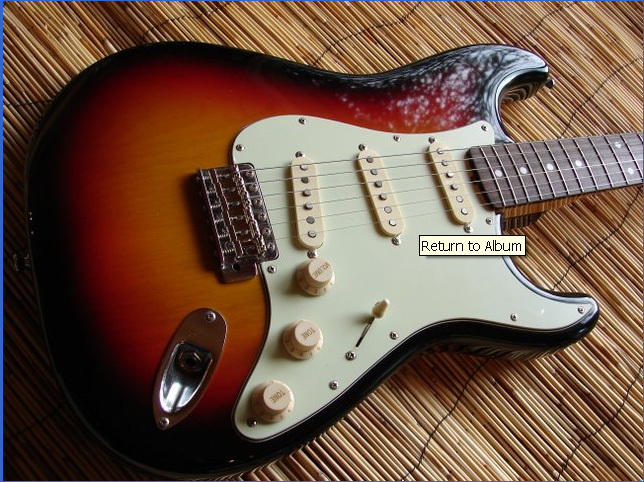 The 60s Strats I've tried have all had necks closer to the profile of a Goldstar - a fair bit slimmer than a Bacchus. I'm sure there were fatter ones too, I just haven't come across them. Looks the same as my old BST-62, I'd say LPB. Thanks Ned for the new Bacchus section, I'm sure it will generate alot of interest in these not-so-vintage Japanese masterpieces!! And my latest addition a BSL-59V Les Paul, that's is a fantastic guitar, and the lightest LP I've ever played weighing in at a tiny 7 1/2 pounds!! nice paula, I really like plain tops. how she sounds comparing to your ls120?